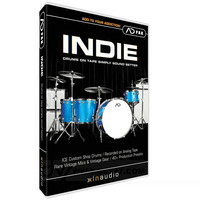 The Indie ADpak is the perfect choice for any production that needs drums with character! 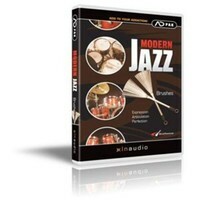 Real analog sound detailed grittiness and the perfect ambience to frame it all. 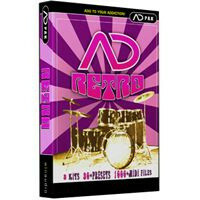 Retro is the first ADpak expansion for Addictive Drums and features three classic Ludwig drum sets from the 60s and 70s with cymbals from Paiste and Sabian. 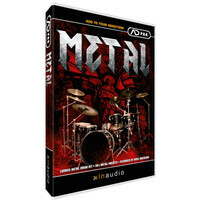 Metal expansion pack for XLN Audios acclaimed Virtual Drum Software Addictive Drums. You dont own the Metal ADpak. It owns you! 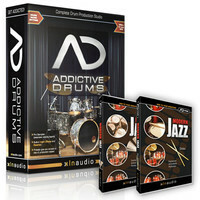 Featuring a new Ludwig drum kit recorded by Metal guru Ross Robinson (Korn Slipknot) in Los Angeles this ADpak brings a totally new sound to Addictive Drums.